anyways, just thought i should say we're still here and i'll post something a little later! ps. my art class is awesome this semester!!! The last few weeks have seemed like more much than a couple of weeks! Lately I have had the interesting experience of feeling that one day is actually two days! Has anyone else felt that? It can be rather annoying! He got me some dirt!!!! I am trying my hand at gardening. I've never really had a green thumb so we'll see how this goes. Sana, sana....colita de Rana. Si no sanas hoy, sanaras manana! This past week has been an emotionally raw week for me. It was National Infertility Awareness Week. One of the blogs that I read on a daily basis is The R House Blog. Mrs. R decided to showcase infertility in all it's "wondrous glory" by posting story after infertility story everyday, all week! It was both inspiring and heart wrenching to read these women's stories about their heartbreak and shattered dreams. "tears. panic. stress. chaos.i was suffocating." "Surviving means to continue to live. Surviving means to be of use. Surviving means to remain happy, healthy, and unaffected in spite of what goes on around us. In the midst of those ever present pains of infertility (we all know them), it is sometimes hard to feel like you are of use, happy, healthy, and unaffected. What you really feel is broken, sad, and without purpose or direction. You feel as though infertility’s grasp has changed so much about what you thought life would be." Oh how, these words hit me. They cut through all the way to the depths of my heart. They brought back memories and emotions of my "dark days". These stories made me remember the day Matt called to tell me the test results. I was at work... My heart broke... I felt like I couldn't escape... The one saving grace for that day, was that I wasn't alone. I had a friend, Becky, at work that day that let me break down, that held me as all my hopes and dreams of carrying a child were shattering around me. Becky showed me such an amazing kindness, that only a friend would, by sending me home...and giving me the rest of the week off. I was allowed to run away. To run home...To a safe place...Where I knew I could be broken. Several years have passed since that dreadful day. And we have thankfully gone through the healing/grief process. So today we can once again enjoy life exactly how it is at this moment. Today we allow ourselves to be whole. Those memories will never go away(as much as i wish they could). But I know I am better for surviving those dark days. "The first state of normal grief is usually shock and disbelief. To absorb the loss so that they will not feel overwhelmed. The second state of grief is actual suffering. Experiencing the painful feelings of sadness and emptiness. Weeping and sobbing, loss of appetite, exhaustion, choking or tightness in the throat. This "grief work" progresses, and the acute state of suffering will usually pass within several weeks to several months. Finally after the third state of grief, recovery begins. They will establish relationships and new interests as well as show renewed ability to experience pleasure, diversion, and satisfaction. Grief, of course may be reactivated, but the suffering is never as acute again." 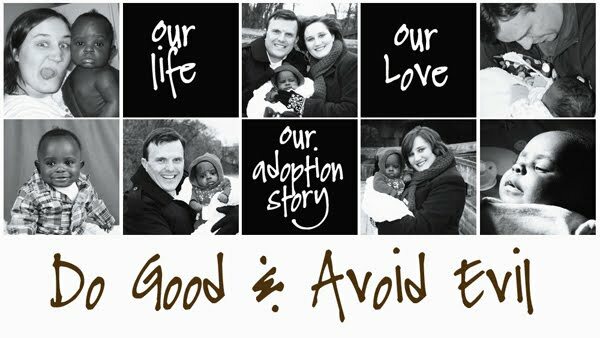 Adoption Education Resource Manual, LDS Family Services, Kearns Agency. Mrs. R did a wonderful job putting stories and resources together to shine a light on the practically taboo topic of infertility. Whether you are fertile or infertile, you really need to read the week's worth of posts. ps. the title of this post is a saying that my mother would say while she kissed away our ouchies. It is an old Spanish saying that I think she picked up while growing up in Argentina.